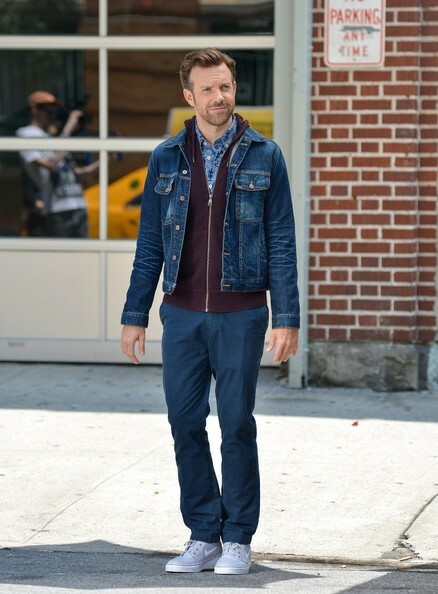 Jason Sudeikis poses during a photo shoot in New York City on June 12, 2013. Jason paired a denim jacket over a burgundy hoodie for his look while posing for a photo shoot in NYC. Instead of opting for jeans, Jason chose a pair of blue chinos while posing for pics.